Maveron, a specialist investor in consumer-facing businesses known for its Starbucks Corp. connection and early success with an eBay Inc. investment, is staring at what looks like a once-in-a-lifetime shift in consumer attitudes. In the aftermath of the global financial crisis, shoppers who once lusted after high-priced fashion brands have turned frugal, would-be early retirees are polishing off their job skills and many homeowners owe more than their houses are worth. “It’s pretty safe to say that you probably had a more dramatic shift in consumer behavior in the last two years than in the last 30 or 40 years,” said Maveron Partner Dan Levitan, who co-founded the firm in 1998 with Starbucks Chief Executive Howard Schultz. “People are less proud of indulgences and more focused on value.” But Maveron sees more opportunities than pitfalls in this trend. For instance, portfolio company AllConnect Inc., which helps people who have moved get connected to utilities and other services, is seeing record revenue growth even though fewer people are moving because cost-conscious consumers are using its service to save money on services for their current homes. Frozen-yogurt vendor Pinkberry Holding Corp. continues to grow, in November announcing a planned expansion into several new areas nationwide. Maveron also expresses excitement about sandwich chain Potbelly Corp., which VentureWire recently reported has at least $100 million in revenue. As for new investments, Maveron has been narrowing its focus in the last couple of years to three core areas: education, Web-enabled consumer services, and health and wellness. Maveron recently led a $3.3 million Series B financing for Kwedit Inc., a company that lets people pay for goods bought online with cash at 7-Eleven stores or other Kwedit partners. It also took part in a $1.25 million seed round for Latimer Education Inc., which is creating an online university to serve African Americans. In health and wellness, Maveron foresees a wave of new services that consumers will pay for partly or entirely out-of-pocket, including for their pets. Its portfolio includes Trupanion, an online provider of health insurance for cats and dogs. Maveron financed it in April 2007, before the worldwide financial meltdown, and says revenue is growing as pet owners worry about paying vet bills and veterinarians recommend coverage. Despite its optimism about consumers, Maveron, like most venture firms, continues to have a tough time finding exits. It does have two recent ones via M&A: Regence Blue Shield of Washington acquired Kinetix Living Corp., a provider of health and nutrition programs, while Global Payments Inc. bought Auctionpay Inc., a developer of fund-raising software for nonprofits. Prices were undisclosed in both transactions. Levitan declined to discuss fund performance, but made it clear the firm has its eye on the public markets for future exits. While the start-ups able to go public recently have been primarily technology-related, Maveron thinks markets will ultimately reward high-performing, growing companies regardless of sector. BrightSource Energy said it raised $150 million in a fourth round of financing, bringing the total the firm has raised so far to more than $300 million. The financing will be used for two purposes: to help BrightSource build solar thermal power plants in the U.S. Southwest to serve customers like Pacific Gas & Electric and Southern California Edison, and to expand internationally. International. There's a word you haven't heard much from BrightSource. Rival eSolar has already taken the international route, signing deals to provide equipment and intellectual know-how to power providers in China, South Africa and India. China could be a lucrative market, although to date, it has yet to produce a domestic powerhouse in this industry like Suntech in photovoltaic solar panels. A number of Chinese companies make solar thermal water heaters but not solar thermal power plants or solar thermal power plant equipment. Sources, however, have told me that the government is interested -- very interested -- in seeing the market expand. Like the solar panel industry, the solar thermal industry is in the midst of consolidation. Last year, Siemens bought Solel, one of the older companies in the business, for $410 million, while Areva, the French company known for nuclear, bought struggling startup Ausra. Among the startups that popped up in the early part of the decade, three seem to be doing well: BrightSource, eSolar, and Stirling Energy Systems. BrightSource has signed contracts to build solar thermal plants that will produce 2.6 gigawatts of electricity for major California utilities. It has also struck an alliance with Bechtel to help build these plants. It hasn't been easy. Regulators have squeezed the size of its Ivanpah, California plant. BrightSource's power plants will be based on tower technology: mirrors will direct heat to a water tank in the sky to produce steam. The success to date, and the company's vivid history, is why we put founder Arnold Goldman in the GreenTechMedia Hall of Fame. Stirling uses a Stirling engine that generates hot air. 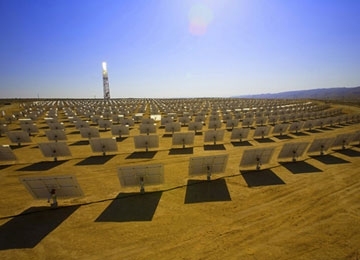 It and sister company Tessera Solar are building power plants in California and Arizona. Meanwhile, eSolar has a power tower similar to BrightSource but a different business model. It largely gave up on trying to build power plants. Instead, it now concentrates on making equipment and selling it to power plant builders or licensing the technology. COMMENTARY: It is absolutely incredible the pace at which BrightSource is raising capital. I just wrote last month about the $150 million they raised, now another $150 million. The company has ZERO revenues. I sure hope the investors know what the hell they are doing. Barnes & Noble Inc. (BKS) has started selling used CDs and DVDs through its website, looking to better compete against Amazon.com Inc. (AMZN) and other online retailers while also trying to capitalize on consumers' recent willingness to buy less-expensive, used products. "We're always looking to grow the [web-based] Marketplace business because it's something existing customers show an interest in buying from," Michael Curro, director of Barnes & Noble Marketplace, told Dow Jones Newswires Tuesday. "We're also looking to show the guys at Amazon that we can do anything they can do." While analysts said that offering used CDs and DVDs is good for Barnes & Noble, they doubted how much the move would actually help it compete with Amazon. "I think right now everyone's kind of chasing Amazon, but no one is running as fast," said Pacific Crest analyst Steve Weinstein, who covers Amazon. "This certainly is a good move for Barnes & Noble, but Amazon is just really executing at a high level and has amazing momentum. It's going to take more than a 'me too' offering to knock Amazon down." Barnes & Noble said in a press release that thousands of used and new titles are available "from a wide range of trusted sellers" through its Marketplace program, which now offers access to "tens of millions of new and used books, CDs and DVD titles." Barnes & Noble has been selling used books since about 1998, Curro said, and launched Marketplace--with third parties shipping directly to customers--in 2003. While Curro declined to provide specific details about what the company expects financially from the CD and DVD sales, he said Barnes & Noble will receive a 15% commission for all items sold through Marketplace--in line with current industry standards, including at Amazon--and that the company will "most definitely" see an improvement in the overall Marketplace business. "It's going to help our DVD and CD business because selling items from third parties brings in lower prices, and it's important to have a low-price option for customers," Curro said. In recent trading, Barnes & Noble shares rose 7 cents to $20.12, still down 14% over the past 12 months. Barnes & Noble, the biggest brick-and-mortar book retailer, has suffered from declining sales because retail traffic dropped during the economic downturn. Shoppers also have turned to online and discount booksellers, with sales of used media particularly strong in recent years. Pacific Crest's Weinstein said selling used items online is appealing to companies because they can offer more product without being constrained by or investing in floor space, and the third-party sellers incur the costs of housing and shipping the products. "It also improves the buyer experience because buyers are looking for a deal, and it allows them to compare value," Weinstein said. Barnes & Noble's Curro said Barnes & Noble decided to expand its offerings due to interest from customers and sellers. Its recent investments in infrastructure--including updating its website--made the rollout more seamless than it would have been a few years ago. While Curro said Barnes & Noble doesn't have any immediate plans to expand its marketplace offerings into areas such as videogames--it only sells items from third parties that Barnes & Noble also offers--its technology can allow it to expand in any direction it needs to. C.L. King analyst William Armstrong said that while the news is positive for Barnes & Noble and there is "definitely" a market for used CDs and DVDs, Barnes & Noble is a little late to the game. "I don't know why they didn't do it a long time ago," Armstrong said. "It seems an obvious way to leverage their website." Morningstar analyst Peter Wahlstrom said the market for used CDs and DVDs is competitive, and the move likely won't be a game changer for Barnes & Noble as it's looking to stake a claim with current customers and gain a little more "wallet share." "It's going to generate gross margin dollars, which is good, but it's not enough to move the needle," Wahlstrom said. COMMENTARY: I traded in a bunch of dvd's in 2009 with a local music and video retailer located here where I live. I thought my used dvd's were worth something, but I was due for a rude awakening. The average value I received for my dvd's was about 50 cents. Most of these used dvd's are then resold at $5.95 to $7.95 each. This generates quite a profit margin. The advantages to Barnes & Noble is "cheap" inventory with relatively high utility value to the average consumer. DVD's are not cheap. Blue-Ray formatted dvds are outrageously priced. Makes better sense to watch the movie on cable TV on-demand o download it from an online video rental site like NetFlix. There is a stigma that used dvd's have. You don't know how many times they have been viewed or how they were handled or who handled them. If you buy used dvd's from a video rental chain like Blockbuster you can get them three or four for $19.95, but they were also viewed 100's of times. You take your chances, but that's where I bought most of mine. There is a market for used dvd's and music CD's, but you get what you pay for. Whether this strategy will improve Barnes & Noble's revenues remains to be seen. With book margins running about 20% to 30% at best, selling used dvd's and music CD's offers the opportunity for much higher margins. However, they are going to have a lot of competition from Amazon.com, which sells both used books, dvd's and music cd's. As I have pointed out previously, Barnes & Noble and Borders both should be planning for the future when most books will no longer be printed but available in digital format for reading on eBook readers, the Apple iPad and your home computer. This year, U.S. online video ad revenue is on pace to exceed $1.3 billion, according to new research from Parks Associates. The report attributes the healthy numbers to steady growth in online video viewership, combined with the ability to target specific viewers based on preferences and viewing history. Younger consumers are proving particularly receptive to targeted ads, creating openings for cross-platform ads and other opportunities for advertisers, according to the international research and consulting firm. The new research supports other findings by Parks, which indicates that large percentages of consumers -- especially younger consumers -- have yet to form a strong opinion regarding targeted advertising. These ads include commercials shown before an online video or overlays displayed during the show, with the content based on the user's Internet, TV, and mobile usage and viewing habits. Among U.S. broadband households, almost 50% of heads-of-household ages 18-34 are indifferent to targeted advertising, while 42% ages 25-54 and 25% ages 55 or older are similarly neutral. "Indifference indicates consumers can be won over by new advertising strategies, provided these messages are designed well, with truly relevant content," said Heather Way, research analyst, Parks Associates. "Also, the younger age groups are more receptive to the concept of targeted advertising, and advertisers place a premium on the ability to reach these demographics." While online video does not yet have the same audience reach as traditional broadcast and cable TV, the medium continues to grow its user base, and increased content offerings via TV Everywhere initiatives will bring in more viewers and boost advertising revenues. Presently, over 50% of heads-of-household 25-54 watch online video at least weekly, and the percentage jumps to 75% for ages 18-34. Excluding video ads, comScore recently reported that U.S. Internet users received a record 1.1 trillion display ads during the first quarter of the year -- marking a 15% increase year-over-year. Also excluding video ads, U.S. display ad spending in the first quarter reached an estimated $2.7 billion, with the average cost per thousand impressions equal to $2.48, comScore found. COMMENTARY: According to comScore, there werre 234 billion online video downloads 2009. This would average out to $0.00555 per video ad view using 2009's download estimates. This works out to $5.55 per thousand views. This is considerably below the $20.00 per thousand for display ads on a social networking site like MySpace or Facebook. In short, the "worth" of the average online video ad view is one-fourth of an online display ad. This surprises me since in the case of pre-roll online video ads, the most typical format in online video ads, most consumers will catch a glimpse of the ad, even it it is for a few seconds, before cliking on the "skip ad" button. I am totally dumbfounded over this. That Pincus guy reminds of that character Kramer from Seinfeld without the ridiculous hairdoo. The redhead looks like he's saying, "I was only kidding Pincus, I miss Farming." Earlier: Facebook and Zynga have reached a five-year deal to keep Zynga games on Facebook and expand the use of Facebook Credits in Zynga’s games. A couple weeks back, it looked like Zynga might leave Facebook and host its games on ZyngaLive.com instead. Zynga was upset because Facebook required it to use Facebook Credits and pay 30% of every transaction – far more than the 3.5% payments providers charge on the Internet, but about the same Apple charges iPhone App developers. Also, Facebook had begun to limit the ways in which Zynga could contact its users through Facebook's "notfication" system, and this effectively forced Zynga to buy more Facebook ads. One industry source estimates that these platform taxes cut into Zynga's revenues by as much as 50%. Reports suggested traffic to Zynga's games was tanking, too. But Zynga wasn't the only dependent party in these negotiations. Facebook is trying to become a platform where application-makers can become real businesses. So far, Zynga has been far and away the most successful company built on the Facebook platform. It recently issued shares at $ 4 billion valuation and we've heard 2010 venues could approach $600 million. 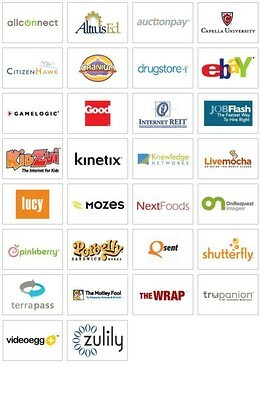 If Facebook killed Zynga, it's hard to imagine many more startups and VCs giving the Facebook platform a try. 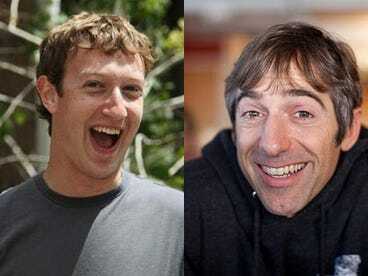 “Facebook was a pioneer in opening their platform in 2007 and in just three years tens of millions of Facebook users play our games every day, from FarmVille and Café World to Treasure Isle and Mafia Wars,” Mark Pincus, founder and Chief Executive Officer at Zynga, said in a canned quote. COMMENTARY: Whoopty-doo. I was beginning to think that Zynga was going to take a hike, but cooler heads prevail, and the red head saw the light of day. Zynga commands a huge audience of "social farmers" and "street thugs", the 25 to 30 million or so individuals who play Farmville and Mafia Wars -- $600 million per year no less..
Google and Intel are expected to announce a significant breakthrough into consumer electronics and the broadcast industry this week with the launch of a “Smart TV” platform. Top executives from the Silicon Valley companies are reported to be ready to reveal a deal with Sony, bringing web services to its televisions, during Google’s annual developer conference in San Francisco. Intel’s Atom microprocessor and Google’s Android operating system are spearheading their assault on set-top boxes and TVs featuring integrated internet services. The technology companies have had little success penetrating the TV industry to date but both are now seeking to take advantage of service providers and TV manufacturers scrambling to add web capabilities and content. “The revolution we’re about to go through is the biggest single change in television since it went colour,” Paul Otellini, Intel chief executive, told analysts last week. At the Consumer Electronics Show, Las Vegas, in January, manufacturers showed off televisions, Blu-ray players and set-top boxes with internet connectivity and services ranging from movies provided by Netflix, CinemaNow and Vudu to channels playing internet radio, connecting to online photo services and adding social networking features such as Twitter and Facebook. A year from now, according to Intel, television will have been reinvented by a concept it calls Smart TV, writes Chris Nuttall. With TVs, Blu-ray players and set-top boxes rapidly adding wired or wireless internet connectivity to their features, a host of companies are tailoring and integrating web-based content for living room entertainment. Intel says its chips and software will enable not just internet video streaming but could also allow cable operators to turn set-top boxes into video game consoles with games served over the connection. Grid-style TV guides will be replaced by interfaces blending broadcast TV with internet content. Samsung, Sony, LG, Vizio, Sharp and Panasonic are all releasing internet-enabled TVs this year with features such as Skype video calls, Netflix movie streaming and on-screen widgets that offer news, weather, financial quotes, social networking and internet radio. Apple has yet to mount a serious challenge. Its Apple TV box allows users to buy and rent movies from its iTunes store to play on their TVs. 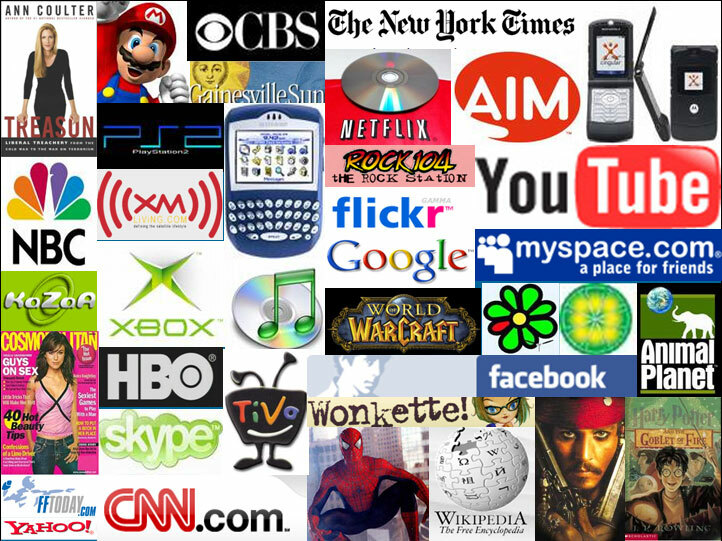 But apart from YouTube videos and Flickr photos, its access to the wider web is limited. Intel pioneered internet “widgets” on TV screens with Yahoo in 2008 but while many other players have entered the market since, it remains fragmented and has been slow to take off. Intel said its latest Atom chip offers better audio and video performance, wider and open software support and is cheaper than the competition. It currently has an order backlog of 1m units for the chip. France Telecom and Telecom Italia are among a number of customers lined up to put the chips in set-top boxes. Google is expected to call on its Android developer community this week to create applications for TVs and its software could prove popular if it also promises advertising revenues for TV manufacturers. “Consumer electronics manufacturers want a piece of this [advertising] pie and Google is the player in this very crowded space that can immediately offer them revenue share,” said Mr Scherf. COMMENTARY: Oh no, not again. Just when you thought Google was through experimenting with industries outside the online search space, they form a partnership with Intel and Sony to bring the Internet into everyone's living room. I suppose this was going to happen sooner or later, and probably sooner than most people think. Nearly all flat panel HD televisin screens are Internet-enabled, but I wonder how many people actually know how to hook them up to their home computer. This move actually makes sense to me, since every household has a television set, but many still do not have a computer or Internet access. Many retirees have no idea what the Internet is. Get ready for a shakeup in the Internet service provider space if Google has its way. Imagine using an Android-equipped smartphone to send video and images to a friend at home. Netflix is going to make a killing off of this new technology. Finally, we get to view and listen to online videos and films at TV speeds and on HD LED TV screens. Sony will be a big winner with their huge library of TV programs and films. The other studios and media giants are likely to climb onboard or get left behind. It seems that the boundaries between television broadcasting and Internet services is quickly merging and becoming one. Will the FCC regulate the Internet, like they do TV? Can I finally get one bill for my cable TV and Internet services? Will this save me money? This is really getting interesting. Dairy Queen's first 30-second television commercial promoting the 25th anniversary of its Blizzard drink -- the spot showing the "Blizzmann family" making a sudsy escape from a car wash to pursue the Blizzard Mobile after learning of the mobile's national tour -- was hard to miss last month. But that spot, and other Blizzard anniversary national network and cable TV ads that will be airing in June, July and August (both new 30-second ones featuring the Blizzmanns and 15-second "monthly specials" spots featuring DQ's talking 'spokes lips' animated character), are just one component of a major, integrated marketing program that includes a special anniversary partnership with Kraft Foods' Oreo brand. Oreo/Kraft and DQ have a long-standing relationship: The Oreo Blizzard is the #1 selling flavor of the frosty drink, according to Dairy Queen International chief brand officer Michael Keller, who adds that Blizzards as a whole represent a $600 million annual business in the U.S. and Canada alone. Now, for the anniversary, added elements to the Oreo/DQ partnership include the release of limited-edition Oreo Blizzard cookies at retail, Oreo's title sponsorship of the Blizzard Mobile tour, and Facebook-based promotions by each brand that include cross-promotions driving social media traffic and synergies for both. "Dairy Queen's patrons are also Oreo's retail consumers," notes Kraft Foods director, marketing services Michael Miller. "We've worked together successfully for years for the mutual benefit of the brands, so expanding and enhancing the partnership for the Blizzard's 25th anniversary was a natural." On the cookie front, the limited-edition Oreo Blizzard boxes began appearing in all of Oreo's retail channels, including grocery chains and mass retailers like Walmart and Target, in late April and were in all stores by May 10. Some retailers are featuring them in the limited-edition Oreo shelf space they reserve next to regular Oreos; some are displaying them on end caps or in featured displays. Initial buzz from retailers on sales and repeat purchases of the Oreo Blizzard cookies has been strong enough that DQ and Kraft are already discussing the possibility of bringing the special cookie flavor back next year, report Keller and Miller. Meanwhile, Oreo's title sponsorship of the Blizzard Mobile tour, which will stop in one or more cities within 25 markets in the U.S. and Canada between April and mid-August, includes numerous exposure opportunities for the leading cookie brand. Oreo has high visibility on the sides and top of the truck (meaning that Oreo also gets exposure each time the mobile is shown in commercials or in DQ's Facebook and other promotions). DQ's main brand Facebook fan area (nearly 970,000 fans) is heavily promoting the Blizzard anniversary party tour not only in the wall, but through content tabs devoted to the Blizzmanns (photos, videos and more documenting their adventures at each stop of the tour); a tour map and local-stop locator tool; a guide to the 25 Blizzard anniversary flavors; and a tool for tagging friends as one of the 25 flavors and passing those tags along. In addition, the DQ Facebook fan area includes numerous promotions for the separate, Facebook-based Blizzard Fan Club, a proprietary area with membership that has jumped from 2.1 million to 2.6 million since the start of this year, according to Keller. Those who sign up for the Blizzard club by providing name, email address, country of residence and birth date are entitled to six "buy one Blizzard, get one free" coupons per year. The Blizzard Mobile tour also ties in with DQ's ongoing, cause-related support program for Children's Miracle Network of children's hospitals in the U.S. and Canada, bringing an element of further goodwill for DQ and Oreo as its sponsor. The U.S. and Canadian legs of the tour will conclude on the days that DQ has designated as 2010's "Miracle Treat Days" (Aug. 5 in the U.S., Aug. 12 in Canada). On those days, the majority of funds raised come from DQ donating a portion of every Blizzard sold to the hospitals; however, this year, consumers who visit the Blizzard Mobile for a free Mini Blizzard will also be able to make donations to the hospitals in canisters available on the mobile. Adding another DQ/Oreo partnership component, a Strawberry Golden Oreo Blizzard flavor will debut at DQ's in June, and packages of Golden Oreos at retail will promote the new drink flavor, report Keller and Miller. COMMENTARY: As a youth I craved that rick, dark chocolate taste and creamy filling of an Oreo cookie. If you are a kid and have never separated the chocolate halves and licked that creamy icing, you have not lived. Without giving away my age, it has been decades since I have eaten an Oreo Cookie, and I must admit that this is the first time I have ever heard of Dairy Queen's Blizzard frosty drink. It could also be that there are not many Dairy Queens where I live. In any regard, Dairy Queen is making $600 million per year from the Blizzard. That is serious coin. I like the co-marketing between Oreo and Dairy Queen. Both have serve the same demographics, those troublemaking young kids you often see skateboarding where the signs say NO SKATEBOARDING ALLOWED. So what do they do after a long day of grinding? They skate on down to the local Dairy Queen. I think I am going to check this one out. On May 4, General Motors made the first move I have seen that gives me any hope whatsoever that the company might be heading in the right direction. It hired Joel Ewanick, former CMO of Hyundai, to oversee GM marketing as well as the marketing of all GM brands, including Chevy, Buick, Cadillac and GMC. Finally, a decision from Detroit that makes sense ... hiring a decision maker. On Mr. Ewanick's watch, the game-changing and highly successful Hyundai Assurance Plan was created and launched in just 37 days. Ewanick oversaw the launch of the Hyundai Genesis, a Korean luxury sedan that will have as much or more effect on the luxury sedan market than Lexus did 20 years ago, and he introduced the new Sonata, sales of which immediately increased 50% year on year. So what has this got to do with a column about marketing to boomers? Well, to my way of thinking, Mr. Ewanick's Hyundai advertising is the only (yes, I said only) automotive advertising in the U.S. today that truly appeals to the boomer consumer. And since people 50+ buy 56% of all new cars, that's not just a bold statement, it's a statement with the kind of numbers behind it that can mean the difference between success and failure for a car company. While every other automotive brand, including Mercedes Benz and Cadillac, is going out of their way to appeal to much younger buyers than their brands' average, Joel Ewanick and Hyundai have taken a different approach -- appeal to intelligent, thoughtful and wise adult buyers no matter what their age. Of course, given that the median age of an American adult is 49, this means that Hyundai is speaking to boatloads of boomers. The results? How about this; in January 2009, perhaps the worst month in automotive sales history, Honda, Toyota and Chevy sales dropped more than 30% (after an already dismal 2008); meanwhile, Hyundai was up 14%. In January 2010, Hyundai rose another 24% while Honda dropped 5%. In fact, Hyundai has seen something like 18 straight months of sales increases while the rest of the automotive industry has been in "crisis." So what is it about Hyundai's advertising that works for boomers? First, it puts the product front and center. Whether it's a spot about the 100,000-mile warranty, the Hyundai Assurance Program or Hyundai employees hand-carrying a new Sonata through the entire assembly process, the film and the car are as stunningly beautiful as anything ever produced by Mercedes Benz or BMW. Second, it's straight-forward, honest and informative. It tells viewers what they need to know about the brand and the product, simply and elegantly. I don't have to think hard to understand the message. Alas, this was once the territory of brands like BMW, Volvo and Honda. Today, not so much. Third, it assumes that the viewer is not an idiot. The copy, read by Jeff Bridges, is mature and insightful, with the demeanor of a trusted friend chatting with you over a beer. No yelling, no loud music, no special effects, no over-the-top joke to grab your attention. Fourth, all of this incredibly successful Hyundai advertising relies not on digital or viral or social media, but on "traditional" media like print and television (audible gasp goes here). Two media whose average reader and viewer is 50+. This from Mr. Ewanick in an Ad Age interview last October: "My faith in ads has been significantly reinforced this year. The power of the 30-second commercial, if done right, can move mountains." All of which is the perfect pitch to the very busy, very smart, very open to new brands, 45-65 consumer. The consumer that Detroit lost 30-some years ago when we switched from Chevys and Chryslers to Toyotas and Hondas, from Cadillacs and Lincolns to BMWs, Mercedeses and eventually Lexuses. The consumer that spends $2.5 trillion annually compared to $1.5 trillion for the younger segments. Having spent a few years in Detroit recently, I can tell you that automakers are squarely focused on, you guessed it, the 25-35 consumer. Their youth blinders are machine-welded firmly in place. A friend of mine was recently in Detroit pitching a medium that targets boomers. A very nice marketing woman who will remain nameless remarked that while she loved the medium and the content, her brand didn't communicate "to people over age 50 because they don't have a lot of buying cycles left in them." She was apparently unaware of the fact that the average America household buys 13 cars in its lifetime, 7 of them after the head of household turns 50 years old. I have a feeling Joel Ewanick would not be caught off-guard or surprised by this Statistic; he seems to get it instinctively. Maybe that's because, as one automotive journal said recently, he's a "marketing whiz." Or could it be because he turns 50 this year. I'm guessing it's a combination of both. A combination that Detroit -- and especially General Motors -- is desperately in need of. COMMENTARY: This article hits the bullseye and identifies the big difference between Detroit and asian automakers. It is a shameful fact, but the reason that Asian automakers have been so successful in the U.S., is because they know the American automobile buyer better than their American counterparts. You would think that since this is our country, we would know the American auto buyer better, but this does not seem to be the case, especially the Boomer segment. In 2005, after Hurrican Katrina shutdown 5% of our oil refining capacity, and gas prices exceeded $3.00 per gallon, we continued to produce larger sedans and SUV's, while the Japanese, long accustomed to high gasoline prices, made a killing, robbing market share from GM, Ford, and Chrysler. I follow the automobile industry, and the deterioation of the U.S. automobile industry has been a gradual thing. It is a like a nagging cough, that you believe will eventually go away. General Motor's hiring of Joel Ewanick is a smart play. It takes more than just great automobile design, power, performance and durability, but a deep understanding of the consumer plus great marketing know-how. Mr. Ewanick brings to GM superior marketing skills and a tremendous understanding of the U.S. automobile buyer. Maybe now the U.S. will be able to take back the automobile market share that they have lost to Asian automobile makers. There are 24 hours worth of videos uploaded each minute onto YouTube and 45 million home page impressions every day. The site gets more than 2 billion views daily and monetizes a billion videos per week that managed to triple partner ad revenue in 2009. YouTube turned five years old Monday, and it has experienced tremendous growth. Still, some analysts want to know when profits will start rolling in. That could be soon. Aside from the numerous ways to monetize videos, the site is considering offering a self-service movie rentals model for invited partners. Expect the use of ads in videos to skyrocket, according to Chase Norlin, chief executive officer at AlphaBird, an online video syndication company. "You not only have intent expressed from the search for content in the video, but then you have the intent when the person clicks on the sponsored videos," he says. Video advertising will post the highest growth rate in 2010, rising 48.1% to $1.5 billion, according to eMarketer. YouTube runs ads against more than one billion video views weekly worldwide. The site boasts more monetized views than any other video site has total views. And based on the different ways that people interact with YouTube, ad formats match those experiences. The site offers a variety of ad formats. Promoted Videos is the search advertising product that helps drive views of videos. Think AdWords for YouTube, but there the site offers display ads, too. Google continues to work closely with YouTube to monetize display ads that ensure advertisers can reach their audience across the Web. This means giving advertisers even more control over how and where ads appear, building self-service tools that let them scale campaigns that span across YouTube and the Google Content Network. The mission to monetize ads began in August 2006 with the launch of both Participatory Video Ads (PVA), and Brand Channels, YouTube's first advertising concepts. Then in September 2006, Cingular became the first major advertiser, rocking the site with an underground music contest. InVideo Ads, also known as overlays, followed in August 2007, along with the YouTube Partner Program in December that same year. Since then, YouTube launched analytics tool YouTube Insights, ecommerce platform Click-to-Buy, Promoted Videos, and Pre-Roll ads. YouTube didn't stop when it expanded home page ads options from one to seven formats. It soon added Individual Video Partnerships, began testing the Skippable pre-rolls test, launched Video Targeting, and began running YouTube mobile ads. Videos make a images worth a thousand words. "Apart from the fact, visually, that humans process images far quicker than words, YouTube gave Google a lesson in the importance of visual search early on from the way users interact and search for information within the interface," says Manny Rivas, online marketing manager at aimClear, a search agency. "We've observed several changes to YouTube as well as the big 'watch page' reconstruction," he says. "These alterations were all in response to the way users search, discover, and interact with the platform." Search within the site isn't the same as search in Google. With an added image thumbnail and view count, the title tag and description are, for some, only additional queues to the user, Rivas says. Media Experts relies on YouTube to support several clients' need for marketing with videos. Home page takeovers, mastheads, sponsorships, promoted videos, video overlays or Google content targeting are numerous ways the agency gains successful results on YouTube. Media Experts search marketing director Nectarios Economakis says the agency experiments with contests requiring user-generated content. "We were also part of the Canadian launch of YouTube with a national takeover," he says. YouTube has become the number two search engine in the world, and the statistic doesn't get lost with search marketers. Visual and video search have gained importance to optimize. Consumers adjusted to searching for videos and images directly in the search engine results pages (SERP), and have come to expect it. Economakis says Google understands that search is not limited to Web pages. Through YouTube, Google proved video is a key form of content. And with video comes image search, he says. Along with Media Experts, SMG Search supports clients that want to advertise on YouTube. SMG Search clients have sponsored the homepage, as well as bought sponsored search ads and overlays. People want a sight, sound and motion experience in search results, says Jennifer Simkins, vice president, director, SMG Search, Detroit. "They can answer questions with a demonstration or how-to video, and we see this in the level of sophistication in search queries on YouTube," she says. COMMENTARY: The bigger question is whether YouTube, part of the Google empire, has made an actual profit from its video ads. YouTube and Google execs alike have refused to provide specifics. Makes you wonder whether video sites like YouTube, inspite of their huge volume of downloads and popularity require, will ever make a profit since they require ever increasing server capacity and broadband that eats of any incremental revenues from ads. Just an afterthought, but untill I hear the magic words, "we made a profit", I am not so bullish on strictly ad-supported online video sites as a money-making business. I still believe that a subscription-based revenue model is the answer, and we are slowly seeing a shift in that direction. For this reason, and others, I do not take on online video sites anymore. It's hard to sell them to investors. The video war has already been fought, and the victor is YouTube. Bring me something different, "a game changer", as Steve Jobs would say, that redefines the digital landscape and makes YouTube obsolete. That's the kind of clients I want. Bring them to moi. Facebook CEO Mark Zuckerberg and his company are suddenly facing a big new round of scrutiny and criticism about their cavalier attitude toward user privacy. An early instant messenger exchange Mark had with a college friend won't help put these concerns to rest. Could Mark have been completely joking? Sure. But the exchange does reveal that Facebook's aggressive attitude toward privacy may have begun early on. And this does appear to reflect Mark's own views of privacy, which seem to be that people shouldn't care about it as much as they do -- an attitude that very much reflects the attitude of his generation. After all, here's what early Facebook engineering boss, Harvard alum, and Zuckerberg confidant Charlie Cheever said in David Kirkpatrick's brilliantly-reported upcoming book The Facebook Effect. "I feel Mark doesn't believe in privacy that much, or at least believes in privacy as a stepping stone. Maybe he's right, maybe he's wrong." "Mark really does believe very much in transparency and the vision of an open society and open world, and so he wants to push people that way. I think he also understands that the way to get there is to give people granular control and comfort. He hopes you'll get more open, and he's kind of happy to help you get there. So for him, it's more of a means to an end. For me, I'm not as sure." Facebook declined to comment about Mark's attitude toward privacy. COMMENTARY: Anybody who read the book titled, "The Accidental Billionaires", which came out in 2009, already has a pretty good idea about the type of person that the notorious "red head", Mark Zuckerberg, is. He is nothing, but a conniving, little back stabbing, idea stealing pathetic excuse for a human being. In short, the redhead stole the idea for Facebook from Tyler and Cameron Winklevoss, two Harvard classmates. I mentioned this in a previous blog post titled "Winklevoss twins finally get their day in court versus Mark Zuckerberg of Facebook"
A much more detailed account of the grand larceny performed by Mark Zuckerberg on the Winklevoss twins is in the book, which is must reading. The Winklevoss twins supposedly turned down a reported $100 million out-of-court settlement offered to them by the red head a couple of years ago, and opted to pursue billions from the red head in court. I know that there are legions of college-aged students out there who glorify the red head, but I am not one of those. There are some pretty seedy characters out there including Steve Jobs and Bill Gates, two multi-billionaires, who took questionnable advantages of their opportunities back in the 80's, and build great business empires, but the red head maybe the worst of all of them. Those IM messages are pretty conclusive proof of the red head's character. It does not surprise me that he now has diabolical plans to take advantage of the personal data about Facebook members in the pursuit of profits. The class action lawsuits are now indicative of just how bad the situation has become. By the way, Hollywood is now shooting the "The Accidental Billionaires" movie, which is going to be introduced to the theaters sometime later this year. You thought things were bad, this PR nightmare is going to get worst for the red head.